Biological Design | J.W. Wartick -"Always Have a Reason"
The reason Manson argues that the bare possibility of such a definition is required is because of the notion of “falsifiability” in science. While it is debated as to whether falsifiability is an actual criterion for “true” science (at least in the philosophy of science I have read), it has become largely assumed that, in some sense, a theory must be at least in principle falsifiable in order to avoid being question begging or too broadly defined. Granting that, Manson’s point seems to be a valid one: in order for Darwinism to be viable, it must also be falsifiable. If we can’t even imagine a system that would falsify it, then that may have extremely broad implications. Whether we have imagined such systems–and whether we have discovered them–is a matter of no small amount of debate. What do you think? Is falsifiability a required criterion for science? Are we able to such a defined biological system to challenge Darwinian evolution? Do such systems actually exist? God and Design is shaping up to be a really solid read with differing perspectives on design arguments. Neil Manson, “Introduction,” in God and Design ed. 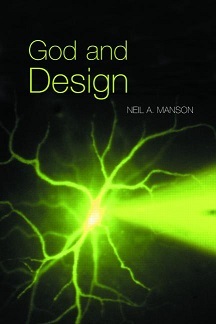 Neil Manson (New York: Routledge, 2003). “Flight: The Genius of Birds ” is the latest from Illustra Media, “a non-profit 501 (c)(3) corporation specializing in the production of video documentaries that examine the scientific evidence for intelligent design.” In this film, the argument is made that the complexities of avian flight present a challenge to naturalistic scenarios in which such mechanisms may have arisen. The film traces the incredible development of birds from single cells into babies and the way in which their bodies must work in order to achieve flight. One of the people interviewed in the film notes that flight is not an incremental phenomenon; the entire body must be set up in order to accomplish it. The way feet work, the shape of the wing, the structure of muscles, and the weight of bones are all factors which must come into play in order to make up an animal capable of flight. “Flight” presents a number of different birds as case studies the complexity which the systems that make up a bird show. Hummingbirds’ flight muscles comprise, on average, 43% of the bird’s body mass. This allows the birds to have an enormous amount of precision in order to move in the ways that they can, such as hovering, moving backwards, laterally, etc. The hummingbird generates lift both on the back and the front strokes of their wings. This capability is grounded in the shoulder joints found in the bones which are at the bases of the wings. The hummingbird’s heart must beat at an enormous rate, which means that it also must eat quite a bit in order to sustain the energy level required for the bird’s metabolism and constant movement. The hummingbird’s tongue is particularly interesting, for it has a number of functions on it which allow it to draw up nectar far more efficiently than had been thought. These starlings, sometimes flying in groups in the hundreds of thousands, move in a stirring, beautiful way, seeming to shift as if they comprised one organism. The way that these birds continue flying without running into each other is by monitoring those starlings which are closest to each other. Rather than monitoring the entire formation, they simply move when those around them move, which lends itself to the movement of a flock as one kind of organism. Their movements must take place within very minuscule spans of time in order to maintain the formation. They follow air flows to minimize the turbulence they encounter, and their formation also serves as a defense mechanism. Arctic terns have the longest migration of any animal on earth. They cross the planet from pole-to-pole to seek out nesting and feeding grounds. From the North Atlantic, they head south, eventually splitting as half go along the African coast while the other half goes along the coast of Brazil. In the south, near Antartica, they feast upon small fish before heading back north. They must arrive back near Greenland and other areas in the north for a nesting period of about 8 weeks. Then, as winter sets in in the north, they head back south. How did the complexity arise? The film here presents an argument that a materialist must use Darwinian evolution to explain the unique functions of flight. No design may be invoked in order to explain these things in a materialistic worldview. Dinosaurs were the precursors of birds, and natural selection selected for those dinosaurs which began to develop better means by which to avoid predators and catch prey. One feather may contain around a million individual parts, from the shaft to the individual strands, barbs, which compose the feather, and each of these are made up of barbules. These are constructed in such a way as to interlock with each other. Yet the feather is but one of the many factors which must go into the mechanisms required for flight. Other than those already noted (muscles, bones, etc. ), birds require a navigational system which allows them to migrate and follow food. They must have instincts to cue and direct their movements across continents and even oceans. One could see how these latter functions came into play in the case study of the Arctic Terns. The film makes the argument that natural selection cannot account for the mechanisms required for flight. The primary problem presented by “Flight” is the “lack of foresight.” Natural selection cannot look ahead and select for various factors in order to put them together into an integrated whole. The argument is that the multiple and independent functions needed in order to get a functional bird which would have some chance at survival is impossible to get to by means of a process which is blind. First, I have to say that there were moments I found myself with my mouth hanging open and the gorgeous imagery in “Flight.” This was particularly the case following the starlings’ movements, the icy regions the terns flew through, and the overall imagery related to the hummingbirds. The use of particular case studies over the middle section of the film was particularly effective at showing the problems which may come up when trying to describe certain characteristics and behaviors which birds exemplify that cannot be explained so easily by naturalistic mechanisms. The film also did a good job of noting that there are presuppositions when it comes to the scientific enterprise. Given naturalism, neo-Darwinism is the only game in town. However, as was asked repeatedly throughout the film, if one is capable of acknowledging design and intelligence when it comes to certain things, why should one preclude the possibility of an intelligent agent when it comes to higher orders? One problem with the film can be found in the format. It is necessarily short, making only the briefest points and only touching upon those things which it discusses. I suspect that those who hold to a naturalistic worldview will be largely unimpressed, while those who hold to the possibility of intelligent agency in biology will see it as backing their own positions. However, those who may be on the fence will see that there are reasons to ask questions. Overall, “Flight: The Genius of Birds ” is a good way to introduce the topic of intelligent design. It is a beautiful film which raises a number of questions. However, it does so in such a way as to ground these questions in very real conditions. By using case studies focused around particular birds and the problems they may present to those operating with a naturalistic worldview, “Flight” paints the debate in such a way as to allow either side to present their case for meeting the challenges head-on. 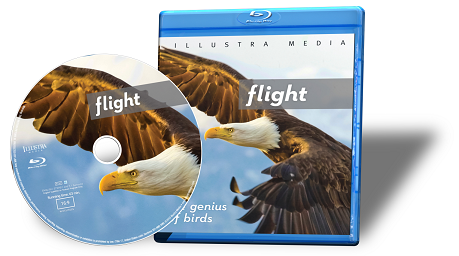 I was sent a copy of Flight: The Genius of Birds to review by Illustra Media. They neither asked nor required any specific type of feedback regarding the film. My thanks to Illustra Media for the opportunity to review the film. My thanks also to them for providing the above image. Fazale Rana recently debated Michael Ruse on the topic of the origin of life. 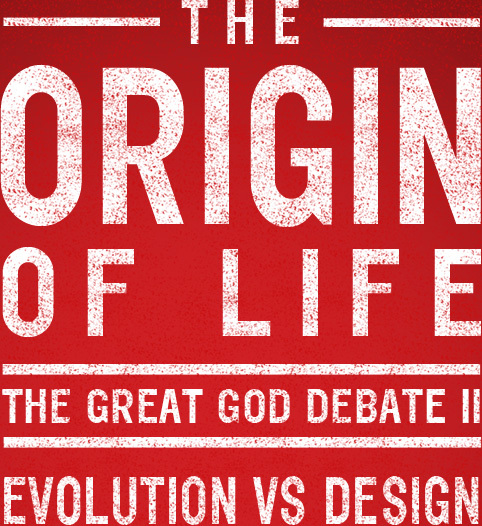 Essentially, the question of the debate was whether the origin of life is best explained by naturalism or design. Here, I will provide brief comments on the debate. Please note I make no claims to being a scientist and I am fully aware that I evaluate this debate as a lay person. Michael Ruse was careful to note that he is not keen on saying design is not possible. Rather, his claim is that naturalism is the most plausible explanation for the origins of life. Ruse’s argued that design is implausible. Specifically, he noted that if design is the hypothesis put forward, there are any number of ways that one might consider that hypothesis. Is the designer a natural being within the universe or a supernatural being like God? Is there only one designer, or was there a group of designers (and he notes that a group of designers seems more plausible because automobiles require many designers to bring them about)? Finally, he raised the issue of bad design choices. He asked why, if there were a “hands-on” designer, would that designer not grant immunity to HIV and the like. Finally, Ruse ended with a number of examples for how problems which were seemingly insoluble were explained by naturalistic means. He also argued that one of the popular arguments for design, the flagellum, has so many different varieties (and is sometimes found to be a vestigial organ), and so cannot be shown to be designed. The problems which must be accounted for within an origins of life model are numerous. One must account for self-replication, the emergence of metabolism, the formation of protocells, the synthesis of prebiotic materials, the formation of life’s building blocks, and more. Rana then turned to some primary models used by researchers to explain origin of life (hereafter OOL). First, there was the replicator-first model, which was problematic because in order for a molecule to be a self-replicator, it must be a homopolymer. But the complexity of the chemical environment on early earth rendered the generation of a homopolymer on the early earth essentially impossible. Next, the metabolism-first model runs into problem due to the chemical networks which have to be in place for metabolism. But the mineral surfaces proposed for the catalytic systems for these proto-metabolic systems cannot serve as such; Leslie Orgel held that this would have to be a “near miracle” and Rana argues that it is virtually impossible. Finally, the membrane-first model requires different steps with exacting conditions such that the model is self-defeating. Rana argued positively that OOL requires an intelligent agent in order to occur. The reason is because the only way that any of these models can be generated is through the work on OOL in a lab. Thus, they can only be shown to be proof-of-principle and the chemistry breaks down when applied to the early earth. The fact that information is found in the cell is another evidence Rana presented for design. The systems found in enzymes with DNA function as, effectively, Turing machines. Moreover, the way that DNA finds and eliminates mistakes is machine-like as well. The fact that the needed component for success in lab experiments was intelligence hinted, according to Rana, at positive evidence for design. Finally, Rana argued that due to the “fundamental intractable problems” with naturalistic models for the OOL and the fact that the conditions needed for the OOL and the processes required to bring it about have only been demonstrated as in-principle possible with intelligent agents manipulating the process. At this point, Ruse and Rana engaged in a dialogue. Ruse first challenged Rana to show how the OOL model based on design could actually be based upon Genesis, as he quoted from Rana’s book (written with Hugh Ross), Origins of Life. He pointed out a few difficulties with using the Genesis account in this manner. Rana answered by putting forth his view of the Genesis account as an account of the origins of life on earth–a view which sees the Genesis account as corresponding with the scientific account (concordism). Yet the Genesis account is itself written from the perspective of a hypothetical observer found on the face of the earth rather than a perspective above the earth. Rana asked Ruse for his thoughts on how much impact philosophy has on the debate over the OOL. He noted that it may be a presupposition of naturalism which lends itself to interpreting the OOL. Ruse answered by saying it is a good point and that philosophy cannot be denied a role in the discussion. But the question is not simply one of “gut commitments” and that one has to also take into account the scientific evidence and a “pragmatic reason” for holding to naturalism: naturalism works. It continually explains problems, even if it takes time. The difficulty with the OOL debate is that it is too easy to take things out of context in order to show how many problems there are with a model. He argued that it is “peculiar” to take the results of a group of researchers and yet somehow go “flatly” against the “overall interpretation that each and every one of these people” would have taken from the research. Despite all the difficulties, Ruse argued, researchers are starting, slowly, to get some view of how to explain the OOL. He pointed to some successes within the OOL sciences to show how eventually we may discover a naturalistic explanation. Rana began with the notion of a creation model. He argued that models are not always drawn from the data, but rather models and theories are constructed from a number of different points. Regarding the science itself, Rana noted that there is no established source of prebiotic materials on the early earth. 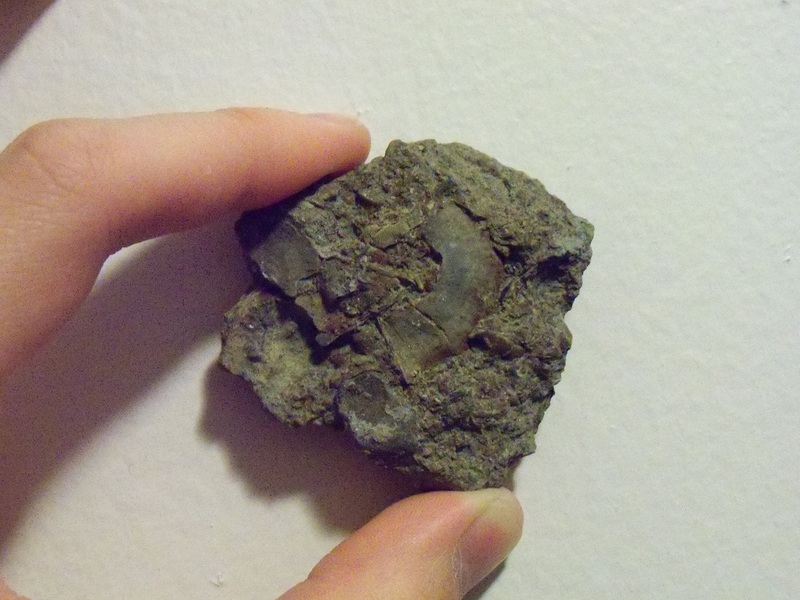 The popular theories for how these materials might be generated fail for a number of reasons. The argument, Rana said, is not a god-of-the-gaps argument. Instead, it is an observation of the breadth of scientific evidence which shows that in-principle experiments have been successful, but when applied to the scenarios for the early earth, the only way for success to be achieved is through intelligent agency (scientists in a lab manipulating the conditions). Rana asked Ruse to respond to the notion that OOL research is similar to literary criticism in that all the different theories continue to be debated but none have come into dominance or can be established over the others. Ruse responded by noting that OOL research does have some “just so” stories but that science has taken seriously the criticisms and come towards the possibility of answering some of the questions. Ruse asked why God would not intervene for things like cancer. Rana answered by noting that in the broad scope of a model with intelligent agency, poor design is no problem. But because Rana believes it is the God of the Bible, he says it may be a legitimate criticism of the design position. However, things which appear to be bad designs can turn out later to have some reason for the way they are used. Moreover, once a creator has put in place designs, they are subjected to the laws of nature and so they could become decayed or break down. Ruse argued that when one takes a “Biblical position” one is “not doing science any more.” If one wants to assert that the science points to miracles, then Ruse said he would argue that the nature of our experience is not “blank” in relation to the OOL, but rather that the previous successes of naturalism means we should fall back upon naturalism regarding the OOL because it has worked in so many other areas. Thus, the problem with the OOL is not with the problems themselves but rather with our own ability to solve the problems. The OOL and complexity of the cell require an intelligent agency in order to account for the OOL on earth, Rana maintaned. The problems with naturalistic accounts appear to be intractable, and the role of intelligent agency in lab work cannot be ignored because that same agency is what leads to the allegedly naturalistic successes. The information found in biological systems also give evidence for design. Finally, methodological naturalism turns science into a game to be played in which the goal is always to find a naturalistic explanation, even if none is forthcoming. Instead, science should be, in practice, open to the possibility of agency within the natural world. Ruse’s argument is essentially an appeal to the future in which the notion is just that one day the answers will come forth. First, I would note how pleased I was with the nature of this dialogue. Unlike some other debates, Ruse and Rana were largely cordial and even amiable towards each other. It is clear that they each had respect for the other’s work and arguments. The debate itself was very interesting. Fazale Rana continually went back to the science and pointed out the difficulties which remained, while Ruse seemed to continually appeal to the overall success of the naturalistic paradigm. Regarding Ruse’s position, I think it was perhaps disingenuous to conflate naturalism with science, particularly considering that very point was largely at the center of the debate. 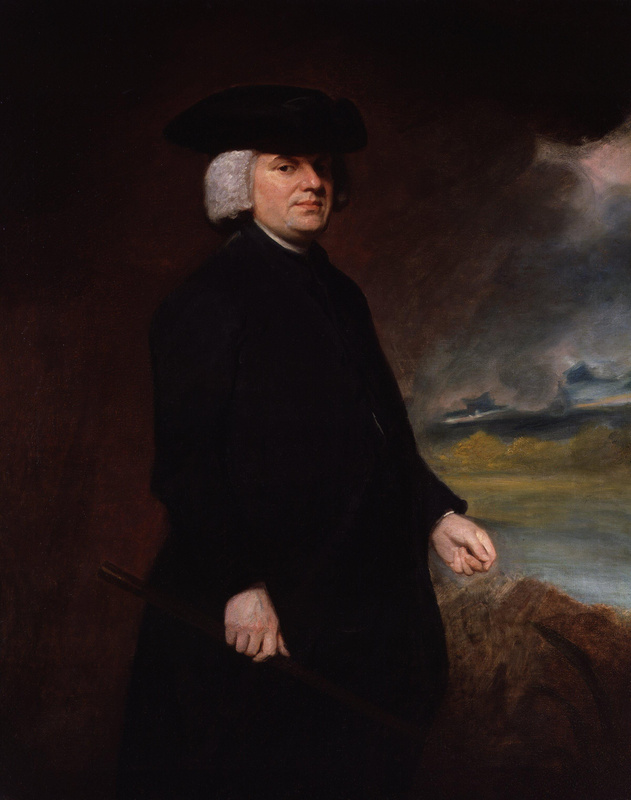 Is it indeed the case that we must be methodological naturalists? It seems that even Ruse agreed that our answer to this question will largely shape one’s interpretation of the problems and reactions to the problems brought up. Regarding the science itself: Ruse brought up several successes which scientific research has yielded, but it seemed clear that none of these offered evidence which countered Rana’s arguments of the intractable problems for the OOL. Rana did an excellent job showing how the models which are in vogue right now for the OOL all fail on a number of levels to account naturalistically for the OOL. Moreover, the fact that current research does rotate around the actions of intelligent agents. Given that such intelligent agents are necessary to bring about even the in-principle results for the OOL, it seems that Rana’s argument that this hints at an intelligent agent in the overall OOL schema was largely successful. It seems to me to count as positive evidence for design. Overall, I have to say this was a great debate. I think one’s conclusions regarding the outcome of the debate largely will come down to a matter of worldview. Be sure to check out my extensive writings on the origins debate within Christianity. Be sure to check out the Reasons to Believe web site, which is the organization Fazale Rana is part of.